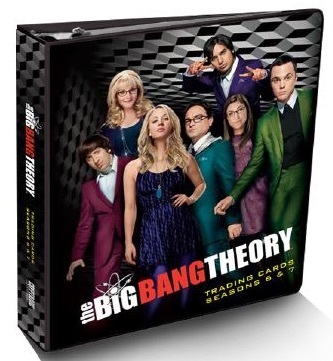 2016 Cryptozoic Big Bang Theory Season 6 and 7 picks up from Season 5 with a fresh batch of nerd-based comedy options. 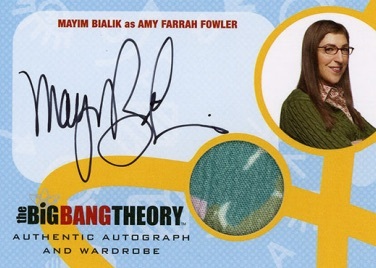 Autographs and wardrobe cards are the key hits and are joined by the debut of prop cards for the product. 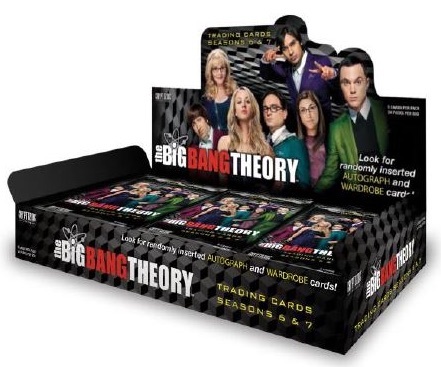 Featuring a consistent format, the base set totals 72 cards that each cover episodes from seasons six and seven. 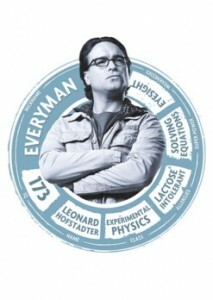 Chase inserts come in the form of Algorithm Puzzle (1:4 packs), Artist Series (1:4 packs) and Portraits (1:4 packs). There are also Foil-board and Printing Plate parallels. 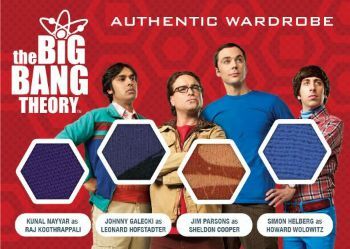 Averaging one of each per box, premium hits include Autograph (1:15 packs) and Prop/Wardrobe (1:15 packs) cards. 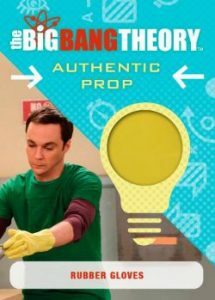 The prop cards are notable because this marks the first time that authentic show-used prop cards will be found in the The Big Bang Theory releases. 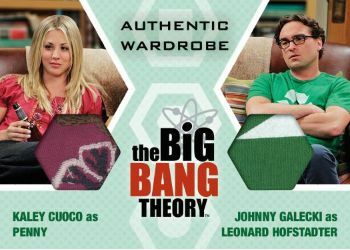 There are also Dual (1:96 packs), Triple (#/25) and Quad Wardrobe Relics (#/25). Random Promo cards are issued through various sources and a custom binder is also available and sold separately with an exclusive card. 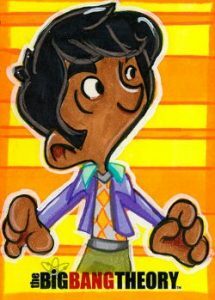 1 card. Limited to 25 copies. 1:576 packs. Specific sketch artists listed below. When can we expect these Season 6 cards to be released??? Nick Loiacono � Nothing is set at this point. It is supposed to be by March of 2016. 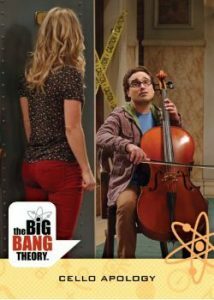 TBBT Season 6 & 7 cards release date keeps getting pushed back. Any firm release date?? 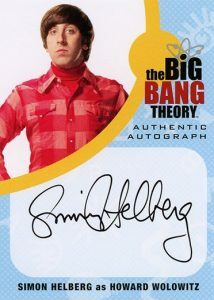 What about signature cards of main characters? 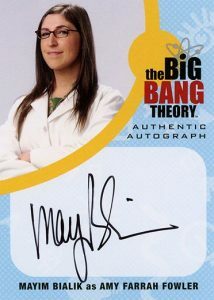 Will we see a return of Penny’s (Kaley Cuoco) signature card? Nick Loiacono � There won’t be an official date until it is much closer to the release and that is when the final checklist will be provided. At this point, everything we know is shown here. 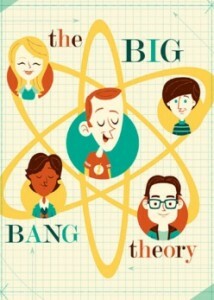 Last I heard, it was supposed to be released this month (July).